Ex-Guantanamo Bay prisoner Binyam Mohamed failed this weekend to prevent the Daily Mail reporting that he had been granted permanent residency in Britain. The case highlights a growing trend for the courts to enforce open justice in two significant ways, both which rely heavily on protections guaranteed under human rights law. Interestingly, two crucial aspects of open justice have been reinforced as a result of a case involving Mohamed himself. In fact, the open justice aspects of Mohamed’s case against the security services will probably emerge as amongst the most important legal rulings arising from the ‘war on terror’ era. Unfortunately for him, this may have had the unintended consequence of destroying any chances of maintaining his privacy. The first way that open justice has been reinforced is in ensuring that the press are free to report the vast majority of what happens in court. Freedom of expression is guaranteed by Article 10 of the European Convention on Human Rights, but this has to be balanced against privacy rights under Article 8. When the UK incorporated the ECHR into its domestic law, it did so with an extra provision to ensure that special regard is to be held to press freedom of expression when considering whether to grant a privacy injunction. To that end, privacy injunctions can only be obtained in very limited cases, although even those cases, particularly so-called ‘super’ injunctions are, often controversial. He went on to say that “[i]n litigation, particularly litigation between the executive and any of its manifestations and the citizen, the principle of open justice represents an element of democratic accountability, and the vigorous manifestation of the principle of freedom of expression.” Ultimately “it supports the rule of law itself“. The principle of open justice “encompasses the entitlement of the media to impart and the public to receive information in accordance with article 10 of the European Convention of Human Rights. Each element of the media must be free to decide for itself what to report“. Strong words indeed. Six weeks later, that “ringing endorsement” of the principle of open justice, as White calls it, was picked up by the Court of Appeal in Independent News and Media Limited and Others v. A (By his Litigation Friend, the Official Solicitor) (, which ensured that at least some of the notoriously secret Court of Protection hearings could be reported where there is a “good reason” based on the public interest. A second way in which open justice has been reinforced recently is in ensuring that those subject to civil sanctions (although not extending to immigration decisions in the Special Immigration Appeals Commission (SIAC)) have access to the main details of their case. This may sound like an obvious requirement, but it has been chipped away since the 9/11 terrorist attacks, particular with the use of ‘special advocates‘, who are lawyers appointed to represent the interests of those denied full access to relevant material which, if made known, is claimed would damage the public interest. In May Court of Appeal launched a triple offensive against the use of such closed evidence procedures in civil (that is, non-criminal) proceedings, following the House of Lords’ decision last year in relation to control orders in AF (No. 3). Article 6 of the ECHR provides that in the determination of a person’s civil rights, everyone is entitled to a “fair and public hearing”. this is one of those cases where it is right for the court to take a clear stand, at least in relation to ordinary civil proceedings. Quite apart from the fact that the issue is one of principle, it is a melancholy truth that a procedure or approach which is sanctioned by a court expressly on the basis that it is applicable only in exceptional circumstances nonetheless often becomes common practice. The police – or the alleged victim – argue that certain information likely to lead to a breach of the rights provided by ECHR Articles 2, 3 or 8 should not be disclosed. Balanced against that are the ECHR Article 6 (and possibly 8) rights of the persons subject to the order. Given the protective nature of the court’s jurisdiction, it seems to me that the court can decide the issue of whether or not the order should stand without either detailed investigation of the factual issues or the intervention of special advocates. It is plainly a matter of public interest. The fact is the very identity of this applicant is of importance. The history of the circumstances in which he was taken to Guantanamo Bay, his immigration status, the alleged complicity of Her Majesty’s Government in what happened at Guantanamo Bay, all raise questions of public interest against which the decision to grant the applicant indefinite leave to remain has to be seen. The judgment is not yet available, so it is not possible to comment on the arguments put by Mohamed’s lawyers. The Daily Mail reports that the case was brought under Article 3 of the ECHR, which protects against inhuman or degrading punishment. This was probably argued as a result of a decision of the Supreme Court in January, Guardian News and Media Ltd & Ors, Re HM Treasury v Ahmed & Ors , in which the court ruled that the identities of too many claimants, in that instance in anti-terrorism freezing order cases, were being withheld from the media. The courts were, without proper consideration of the issue, “denying the public information which is relevant to that debate, even though the whole freezing-order system has been created and operated in their name” (nb. this sentence is misquoted in the Daily Mail article, implying that it referred to immigration cases in general). The point is that in cases of great public interest, it would be very difficult indeed to obtain anonymity, and particularly in cases where the public already knew a lot about the claimant. 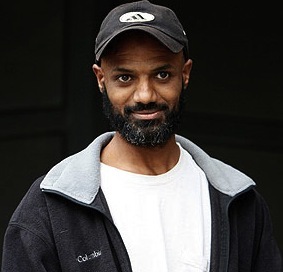 It was highly unlikely that Mohamed would succeed in his Article 3 argument: the threshold for “inhuman and degrading treatment” is notoriously high, and although Mohamed has been gravely mistreated, it is hard to see how breaching his privacy would amount to similar levels of treatment. More importantly, the case of Binyam Mohamed and his co-claimants, who also claim they were mistreated abroad, has already broken important legal ground in respect of open justice, both in terms of freedom of the press and the restriction of secret evidence. procedures in civil claims. A series of high-profile judgments have embarrassed the government and attracted huge publicity. This publicity may not have been Mohamed’s choice, but it was always unlikely that a High Court judge would grant an injunction to put the genie back in the bottle.